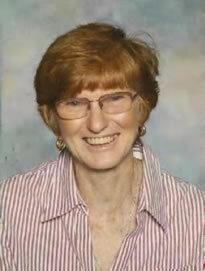 Karan Chandler is a practical, experienced classroom teacher with 40 years teaching across ALL grades in primary, secondary, high school and TAFE college, now retired but still writing material for other teachers. Her particular interest is Japanese culture and language, and literacy for both Japanese and English. She has been to Japan numerous times for personal study and travel, as exchange groups’ organiser, leader of school excursions, as LABO chaperone, and as a Rotary Cultural Ambassador scholar and has hosted leaders and exchange students from Japan (and other countries) over more than 25 years. Her long association with her childhood penfriend and his family was central to the development and expansion of her knowledge and interest in Japanese language, culture and literature. It should be a pleasant experience for both student and teacher. Resources should be plentiful, relevant, varied, user friendly, practical, reusable/make an effective display and student focused. Teaching strategies need to address a wide range of learning styles to accommodate all learners effectively. It is hoped that many other teachers and students will enjoy the same positive outcomes from the purchase and use of books and materials developed by Karan Chandler.